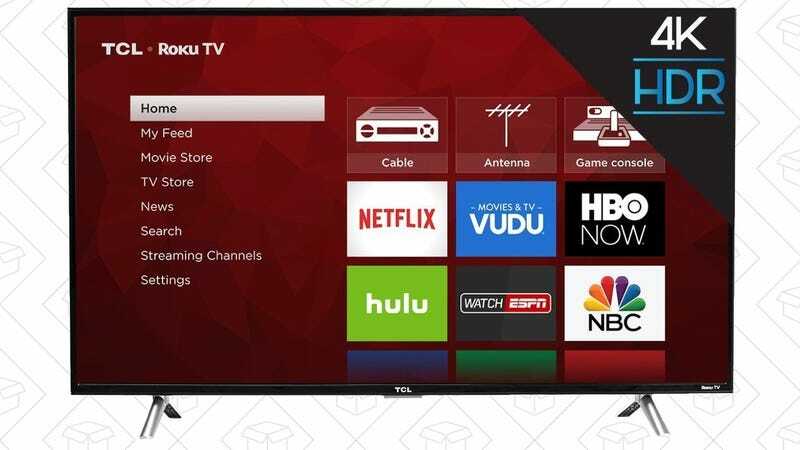 At 43", this TCL 4K TV is probably smaller than you’d want for your main home theater, but it could be an awesome bedroom TV, and $300 is the best price Amazon’s listed outside of a very short-lived (as in, hours) $255 sale. Even at that price, you get built-in Roku software and HDR10 support. You can also upgrade to 49" for $30 more.